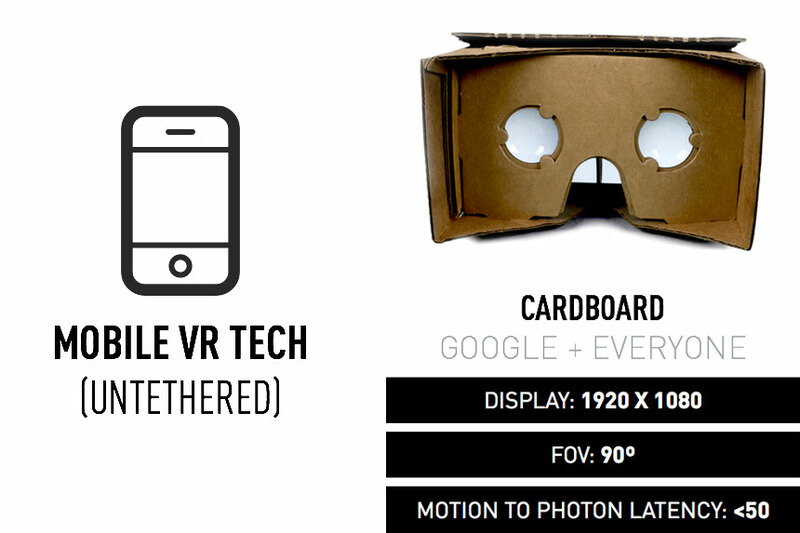 Cardboard is a virtual reality (VR) platform developed by Google for use with a fold-out cardboard mount for a mobile phone. It is intended as a low-cost system to encourage interest and development in VR and VR applications. 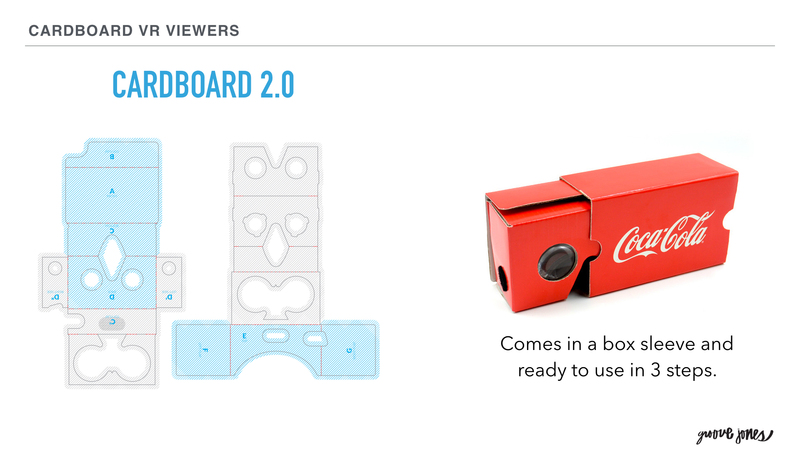 Google Cardboard headsets are built out of simple, low-cost components. The headset specifications were originally designed by Google, but there is no official manufacturer or vendor for the device. Instead, Google made the list of parts, schematics, and assembly instructions freely available on their website, allowing people to assemble Cardboard themselves from readily available parts. 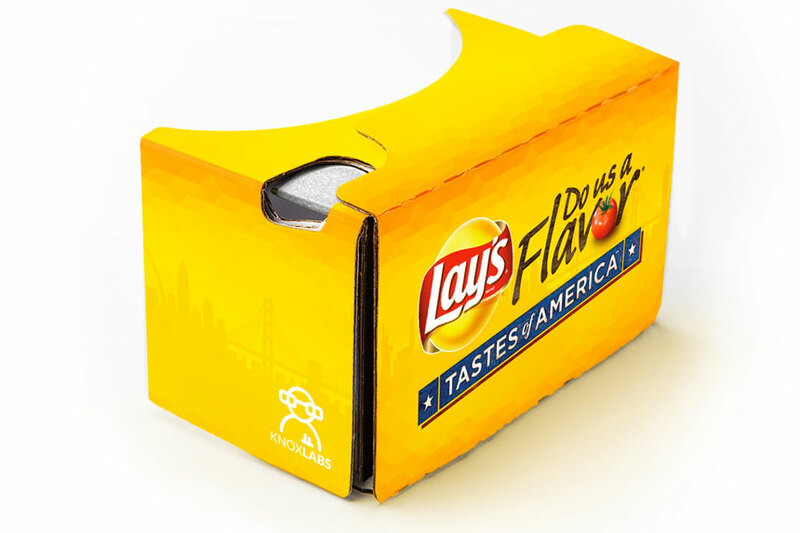 Cardboard comes in a variety of formats and can be custom printed for your brand. We work with the following cardboard partners. 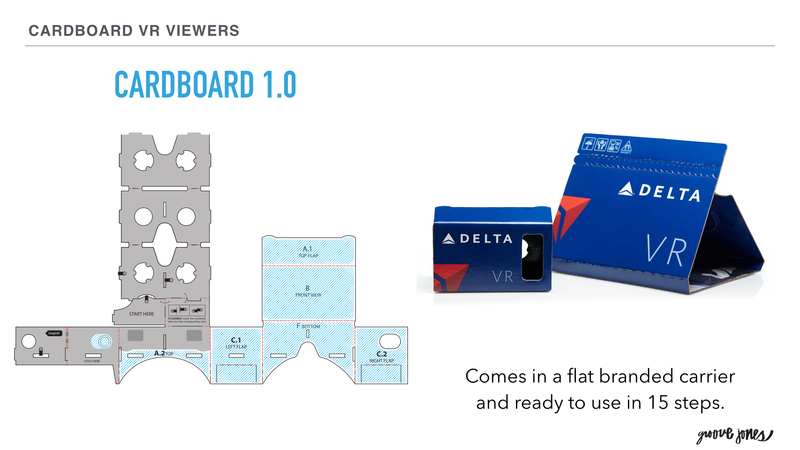 Yes, there is a huge difference between cardboard viewers. The biggest difference is between what Google refers to as V1.0 and V2.0. This si based on Google Cardboard specs. Public Release – VR content can be released for the general audience to download and experience as an App file through Apple iTunes or Google Play. 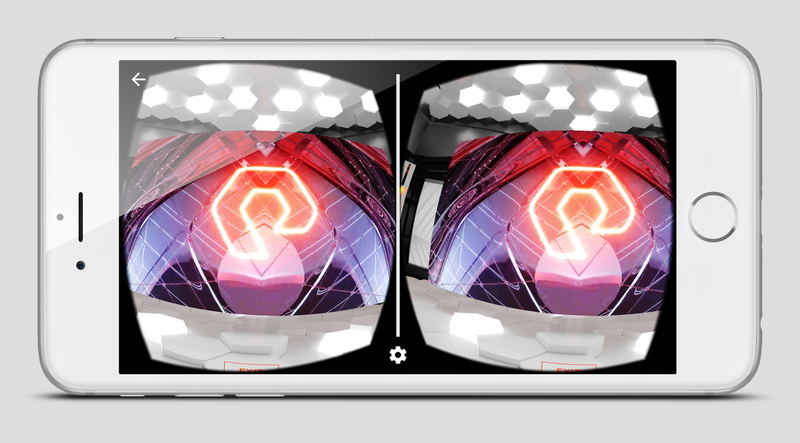 Public Release – VR content can also be release through an VR aggregator like, Littlstar or other VR platform App. 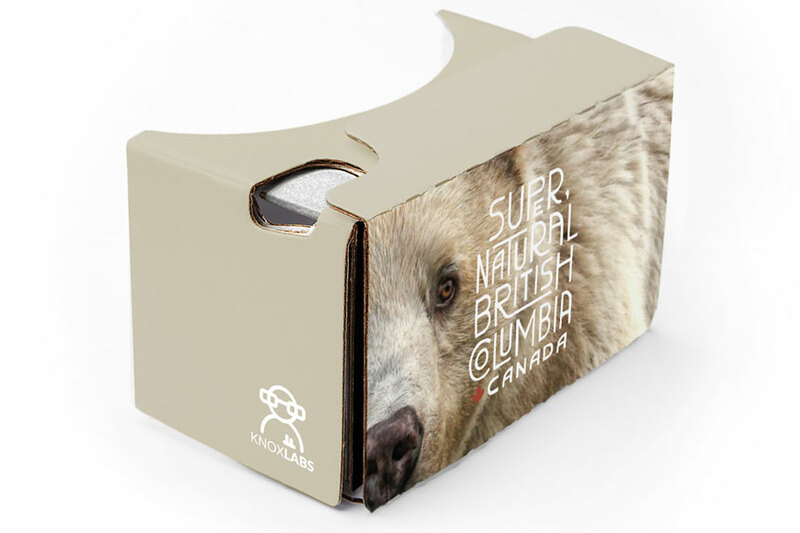 While there are several options to display content in cardboard the best option is to create a custom application that will run your experience. 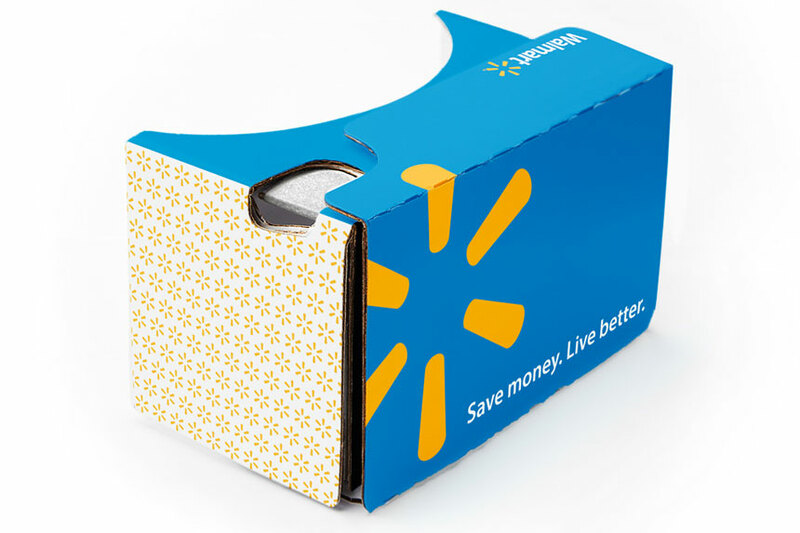 If you are interested in learning more about how to utilize VR for your digital and experiential campaigns feel free to reach out at anytime – Contact Us.